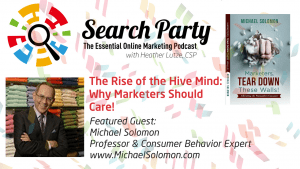 I am thrilled to bring you another podcast from my “Search Party” Podcast, this week I am featuring my podcast with Michael Solomon Phd. Crack the code on why consumers buy your products and services, International Speaker and renowed Author Michael Solomon who is a thought leader in the field of marketing and advertising, Michaels presentations reveal cutting edge trends in advertising and marketing as well as branding, consumer behaviour and social media. He creates a visual excursion into the minds of consumers and what influences them to buy. Audiences are captivated by the insights unveiled during his interactive keynotes and seminars. Which makes Michael a sought after speaker. Michael’s client roster includes leading industries such as financial services and insurance, consumer goods and food and many more industries. Michael has advised numerous companies on lifestyle marketing issues and consumer research to fine tune product and service offerings for brand launches and stronger sales results. He has spoken to business groups around the world delivering keynotes in South Korea, Brazil, Peru, Japan, Germany, Mexico, the United Kingdom and Poland. 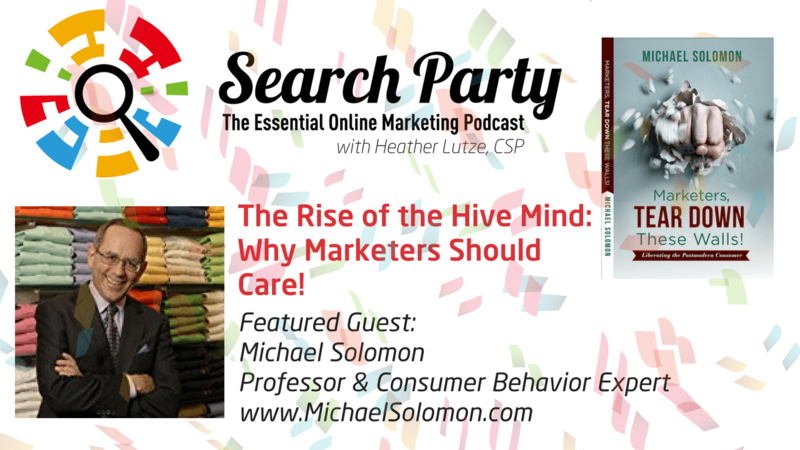 He is also a regular contributor to Forbes as well as the author of the “Tear Down, These Walls” The Rise of the Hive Mind; Why Marketers Should Care. I would love to help you become more Findable, and I would love to speak to your group.